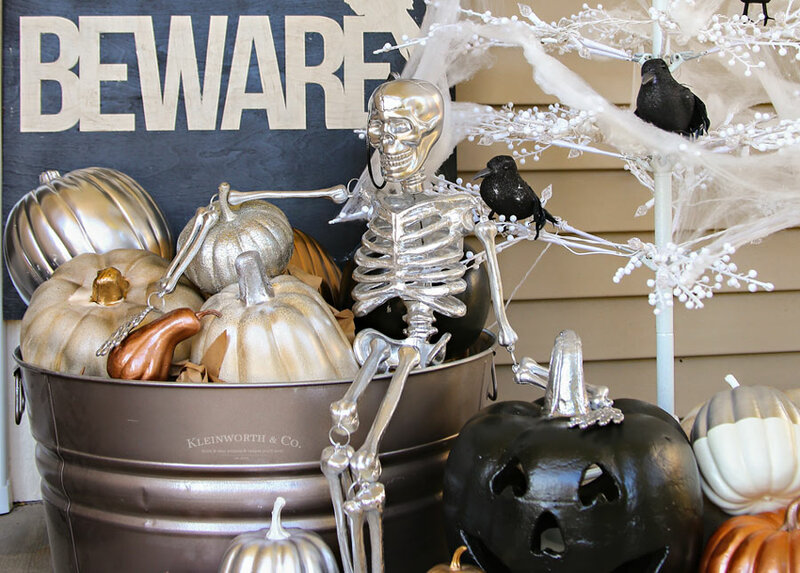 Metallic Glam Halloween Porch Decor ideas to make your home the best on the block. Cool silver skeletons, metallic pumpkins & raven filled trees. Amp up your home’s spooky spirit this Halloween! Do you decorate for Halloween? Some of my neighbors go ALL OUT. I like to keep things a little more on the subdued side while still making a statement. 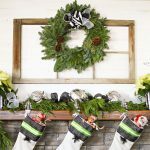 Because I’m partial to a rocker, metallic, glam look already I decided that would be the best way to decorate the porch this year. Instead of our usual farmhouse neutrals or traditional fall colors, we went all black, white & metallic to ROCK our Halloween this year. Check out our Metallic Glam Halloween Porch Decor! The first thing I did was head to Lowe’s to pick up all my goodies. One thing I fell in love with was this plaster jack-o-lantern. 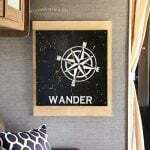 He was originally orange – but nothing a little black & silver spray paint couldn’t fix. The key to pulling off a glam Halloween is to paint things that normally wouldn’t be black or metallic. Black & silver works great for this guy. One of my favorite things we picked up is this skeleton. He was a traditional beige color when I found him. But a couple coats of ultra-glossy silver spray paint made him super AWESOME! I decided that I really had to have this tree. 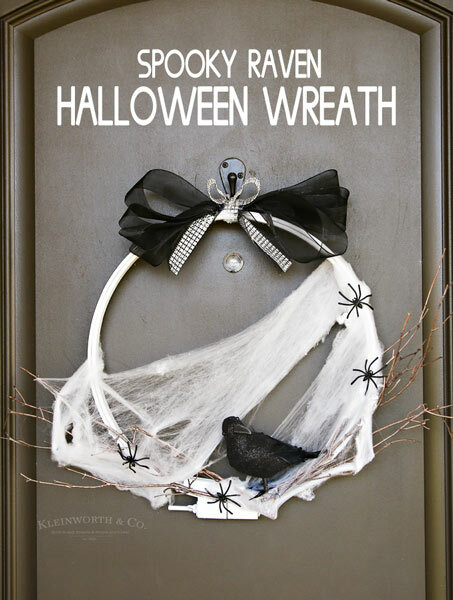 While it was found in the Christmas section, I knew that if I covered it with spiderwebs & creepy ravens it would make a really cool addition to the porch. Can’t even begin to tell you just how much I love this part of the decor. I picked up a bunch of faux pumpkins to add to my already growing collection. They all got a touch of paint in either silver, black, gold or copper. It really helps to bring the whole look together. I used my galvanized bucket that we keep for the Christmas tree for the pumpkins. Don’t miss my tutorial on how I made the sign. One thing the hubs insisted on was these colored light bulbs. We chose magenta/purple but they also had some in orange/red. They move around in a pattern making the whole look extra cool & creepy. I have to admit, I wasn’t all that hot on the idea at first. But it does look pretty cool & helps give a great vibe. I’m sure all the little neighborhood goblins will love it. What’s your favorite part? 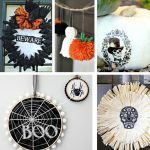 I’d love to know what you’ll add to your spooky decor! Amp up your home’s spooky spirit this Halloween- with Lowe’s! 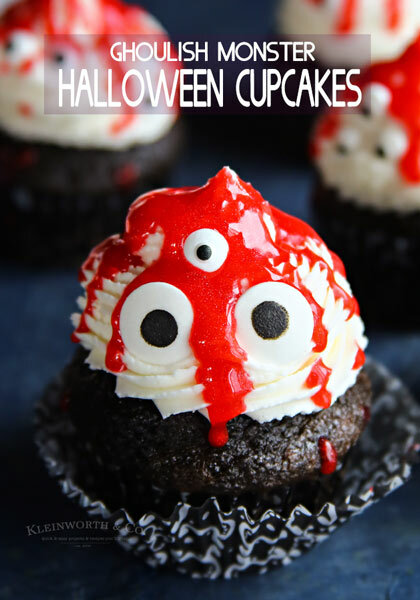 Looking for more awesome Halloween Ideas? Love the metallic. Can go from Halloween into Thanksgiving season seamlessly. Girl, you had me at metallic! Beautiful! 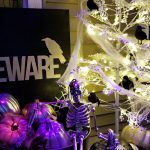 Awesome metallic Halloween decor! 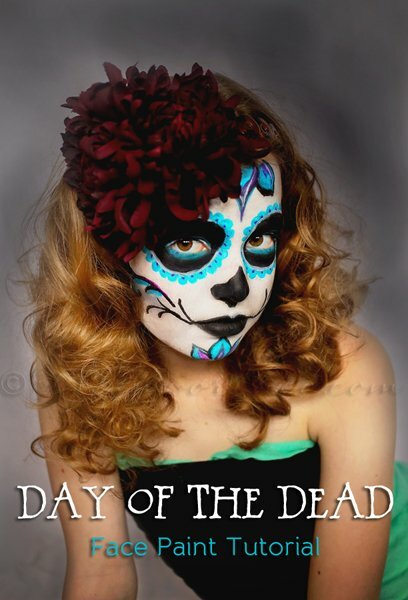 I would love for you to share this over at the Hauntingly Beautiful Decor Halloween Link party and any other fun Halloween Decor posts you might want to link up. Hope to see you there! Your Porch is just adorable! Thanks so much for sharing with us at Full Plate Thursday. Have a great week and come back to see us real soon!